I want to share some great news with you! Today, Learning Ally featured a blog post and video about how I have worked with my dyslexia and used the wonderful selection of audio books available from Learning Ally as part of my education. A few months ago, Ms. Jenny Falke, Senior Communications Associate with Learning Ally, asked if she could interview me for an article. I told her that I would love to share my experiences about dyslexia and listening to novels and textbooks from Learning Ally during my elementary and middle school years. Ms. Falke was a great interviewer! It was a wonderful night, and I was happy to tell my story so I could help other kids who have dyslexia. Check out the Learning Ally blog, and watch a video there where I share my struggles with dyslexia and how I was able to keep up with my studies using audio books from Learning Ally. If you have dyslexia, visit the Learning Ally site and learn more about their great audio books and learning resources for students (like me!) and other people with dyslexia. 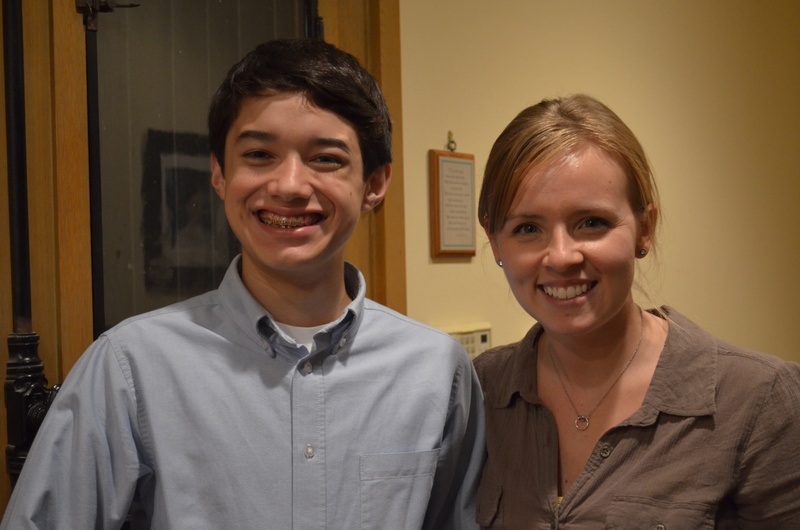 It was so great to meet you and your family, Ben! Thanks for sharing your story with me and all the supporters of Learning Ally. You are an inspiration to so many! Thank you so much for visiting my blog! And thank you for all the kinds words. It’s been so great being able to work with you!